Just the item to have on the floor on a cold winters morning! A pieced pure New Zealand sheepskin rug, hand-crocheted with 100% pure wool yarn. 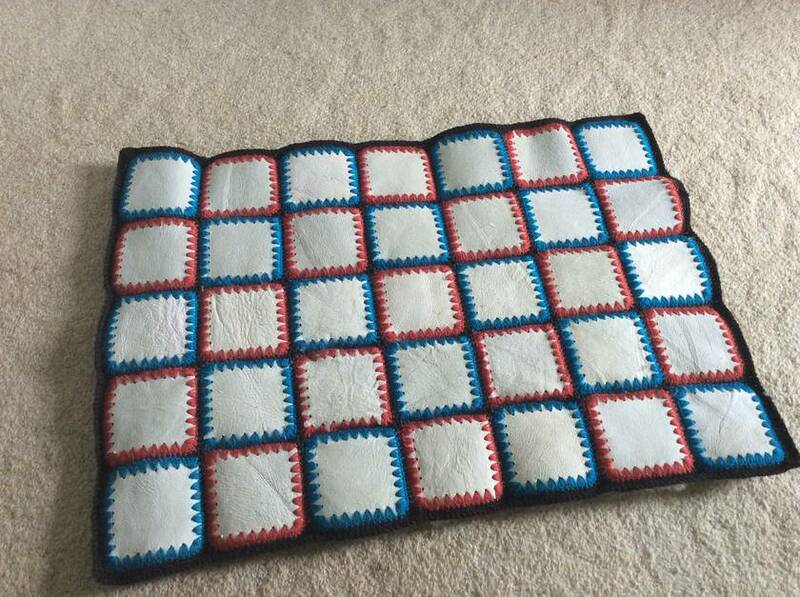 Perfect for your bedroom, bathroom, office....or for the baby to lie on, to cover the car seat or maybe as a rug for a loved and spoilt pet. 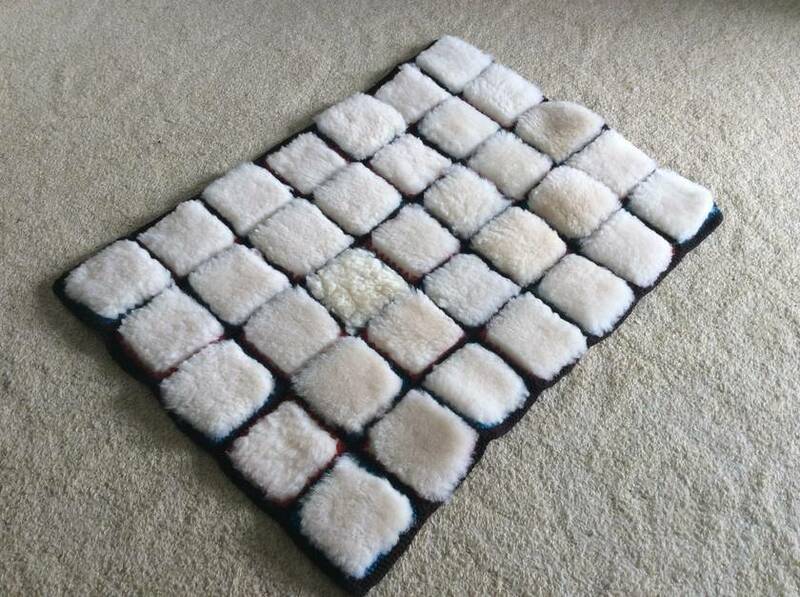 The rug is made from 35 squares of sheepskin, hand-crocheted together; measuring 70cm long, 50 cm wide. Edged in dark brown - squares are edged in teal and terracotta colours these are then joined and edged with the brown yarn. For overseas orders, please message for payment details. Contact baabaas to enquire about payment or shipping options.